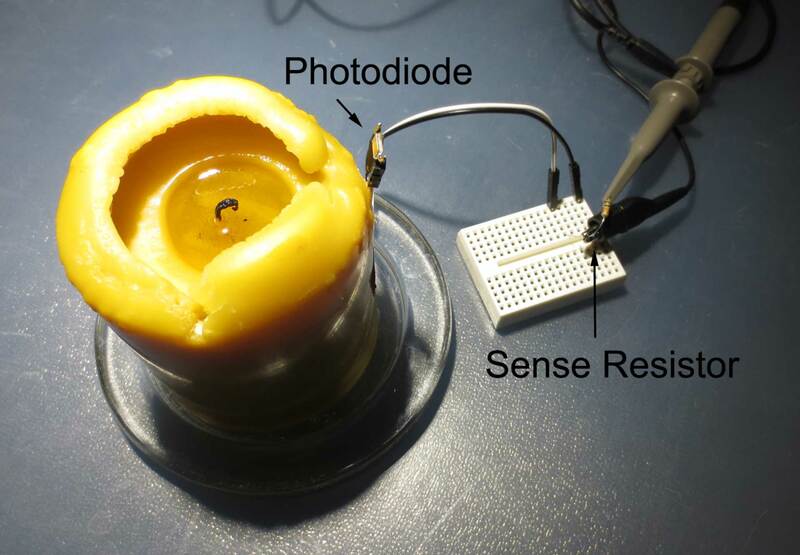 I previously reported on reverse engineering a candle flicker LED. My approach was to extract the “flicker” pattern from the input current variation and to deduce the algorithm from statistical analysis. Of course there is another, more involved, approach. 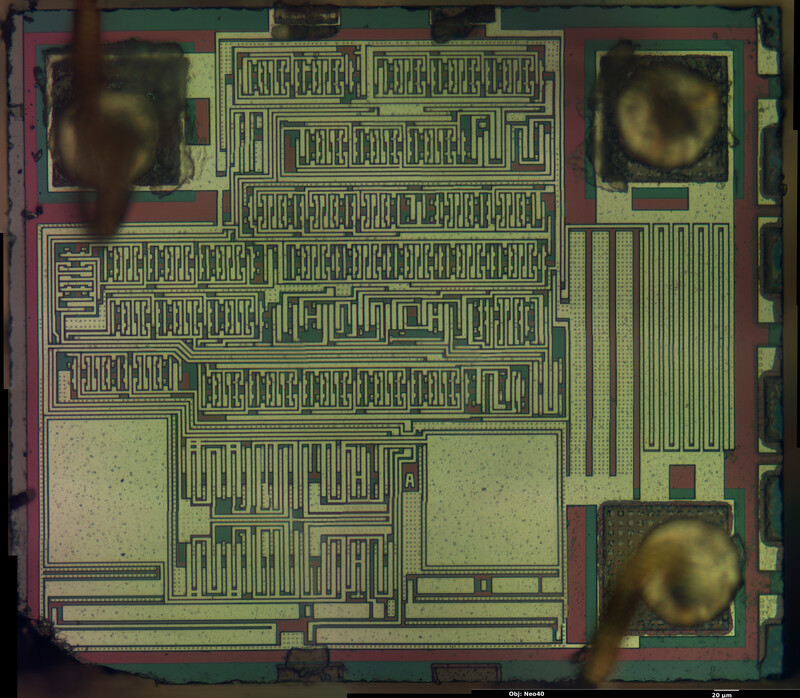 And that is to reverse engineer the circuit directly from the die. Andrew Zonenberg from Siliconpr0n decapsulated and imaged the controller chip from one of my LEDs. You can find his report here. He managed to obtain very high-resolution optical microscopy images of the top-level metal. It turns out that the controller chip is manufactured in a relatively coarse CMOS process with one metal layer and 1-2 µm resolution. This is 1980ies technology. But of course, that is all that is needed for a circuit as simple as a flicker-LED. Let’s reverse-engineer a LED, pedantic mode. Lately, cheap electronic candles seem to be everywhere. I never paid much attention to them until recently it came to my attention that they actually use a special type of light emitting diode with integrated “candleflicker” controller. Now this is something different – who doesn’t like obscure LEDs? Half an hour later I had managed to score a bag of candleflicker-LEDs from the chinese manufacturer. Very nice, you can not do that with real candles. But the interesting part is of course: How do they work? Considering that they literally sell for a few cents a piece, there can not be very expensive electronics involved. This raises another question: Are these cheap LEDs really worse than all the self-made microcontroller based LED-candles around the web?